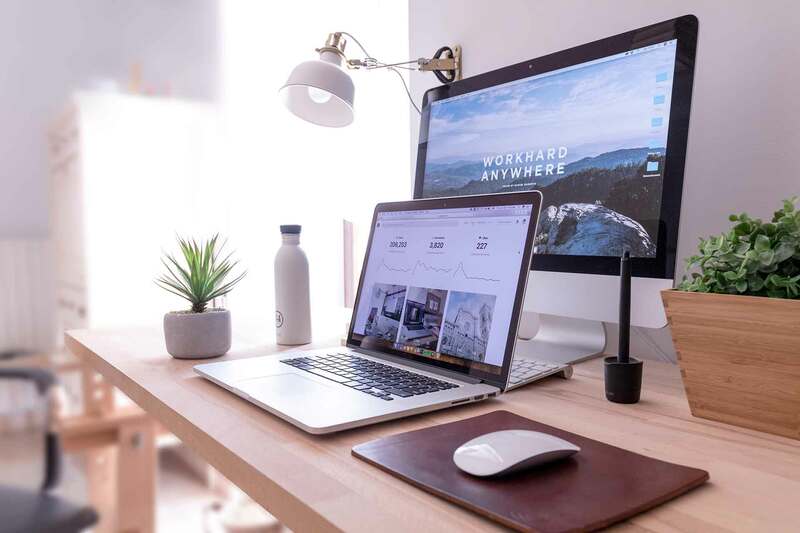 No matter what your needs are, WorkCast offers a level of support that will help you make the most of your online events strategy. Take control of your webinars and webcasts with WorkCast's self-service options. Get the dedicated support of our expert events team with monitored events from WorkCast. WorkCast's managed events service offers the full white glove treatment. Find out more. We know there are savvy marketers and webinar hosts out there who just need a great platform to achieve their goals. WorkCast's self-service option means that the event is entirely within your control. Our platform, WorkCast Stratus, makes events really easy to set up and run. Our customisable event experience templates templates mean you can create beautiful, branded events, all in just a few clicks. The key is our comprehensive on-boarding process where we we configure your account, so all you need to do is click to create your awesome event experience. And even though it is a ‘self-service’ option, our support team has created an extensive resources toolkit for all of the assistance and information needed to help you innovate within your events. WorkCast’s live event monitoring service gives you premium support for that extra confidence you may need in running your online event. With our monitored event service, one of our expert events team will check your event 24 hours in advance to ensure everything is in working order and will also monitor your entire event in real-time to ensure there are no technical issues. They proactively oversee the attendee experience, platform data, and advanced analytics on attendee behaviour to spot any potential issues. If an issue does come up? The WorkCast team has full cover for live events, so we can respond to issues and resolve them within seconds. We are just a click or call away so you know that any questions you may have - even during the event - can be addressed immediately. While all of our support options are exceptional, when you want something a little extra, our managed events service is the only choice. Our managed event service is the full 'white glove' treatment. Our team of experts set up the event, registration workflow, reminder emails, run rehearsals, help presenters and publish the event, leaving you free to focus on the important things like content and marketing. We also provide a dedicated Event Manager during the live event, whose sole purpose is to make sure the event runs smoothly. If you want to scale up your webinar program or just want the peace of mind of knowing we are on your team, talk to us about managed events. Do you want to find out how WorkCast webinars can give your webinar strategy a competitive edge? 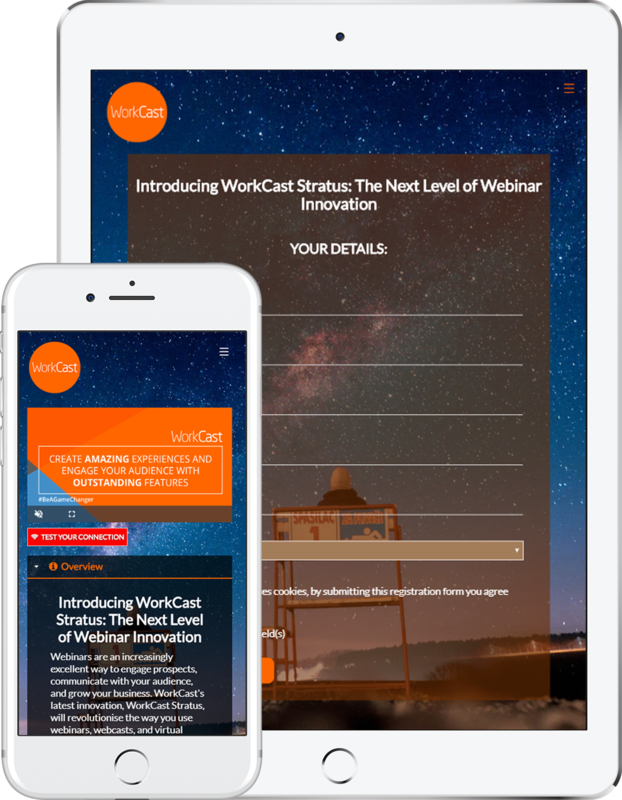 Schedule a demo with one of our experts to see first-hand how WorkCast Stratus, the most powerful webinar platform on the planet, helps businesses supercharge lead generation and increase engagement with awesome webinars.